WITH the International Stadium and surrounding grounds regularly used by other sporting groups, the Colts played little more than half their home fixtures on home ground last season, but a funding commitment from Labor would turn this around. 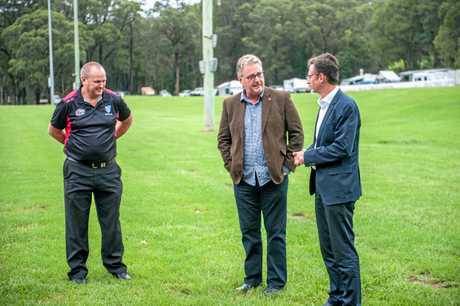 A Shorten Labor Government will provide $50,000 to allow the Coffs Colts Cricket Club to set up a new home venue with a new turf wicket. Shadow Minister for Regional Services Stephen Jones was in Coffs Harbour today to make the announcement. 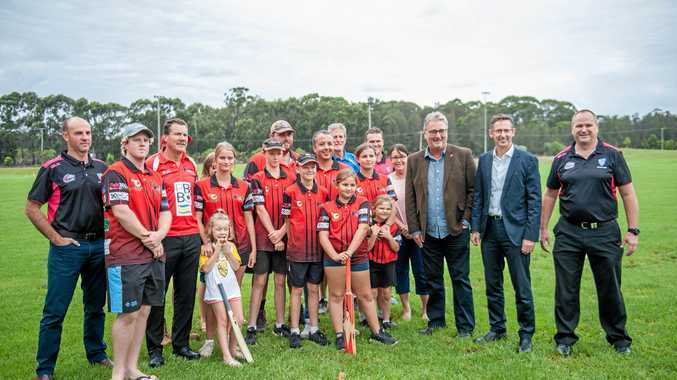 Funding for the project will be in the first Labor budget, and will help contribute to suitable drainage works and installation of a turf wicket square at Coffs Leagues Club. Among the 150 playing members, the Coffs Colts Cricket Club has the only female junior cricket side in the Coffs Harbour and District Association. "Federal Labor believes that all Australians should have the opportunity to participate in sport and have access to decent sporting facilities, no matter where they live,” Mr Jones said. "Local sporting facilities are of great significance and community benefit in regional Australia both for participants and spectators,” Federal Labor candidate for Cowper Andrew Woodward said. "As participation in sport continues to rise in the region, it is important to ensure that locals have suitable facilities to play on.